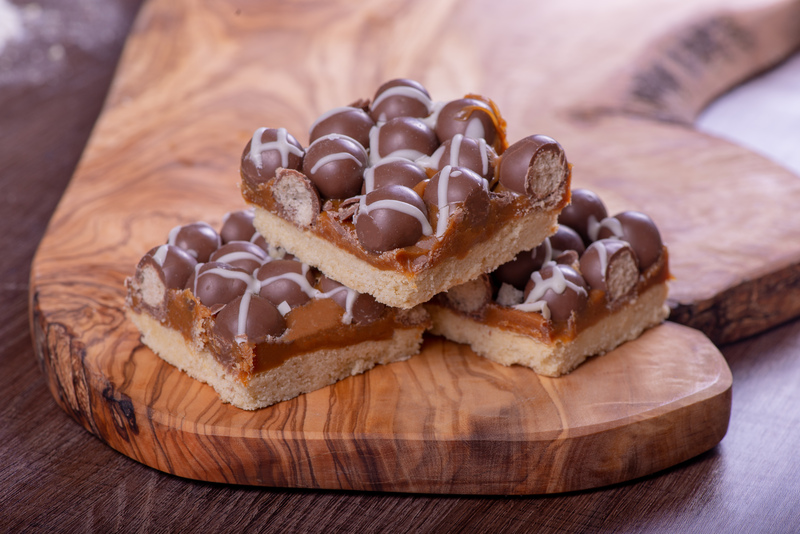 A shortbread base topped with luxury caramel and heaps of milk chocolate malt balls. A real eye catching product! 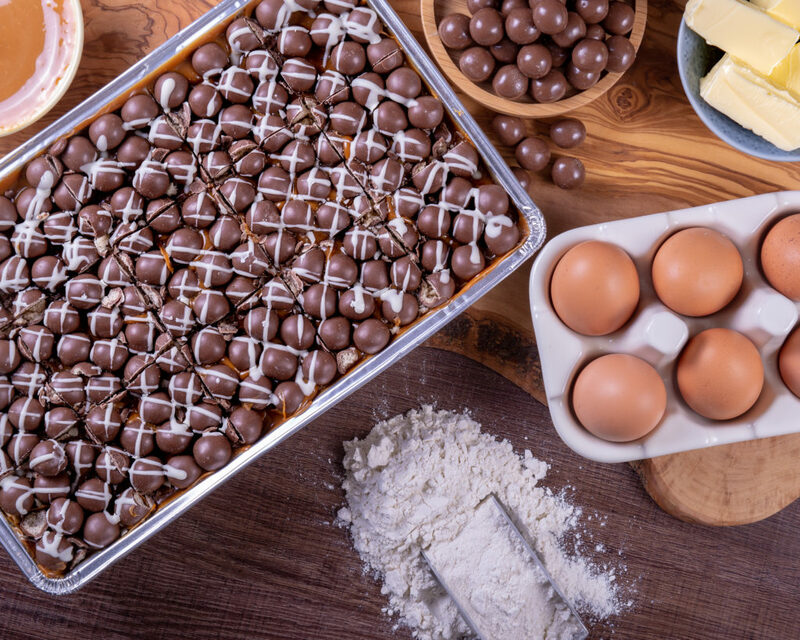 Allergen Declaration: Contains wheat gluten, soya, sulphites, egg, nuts and milk.